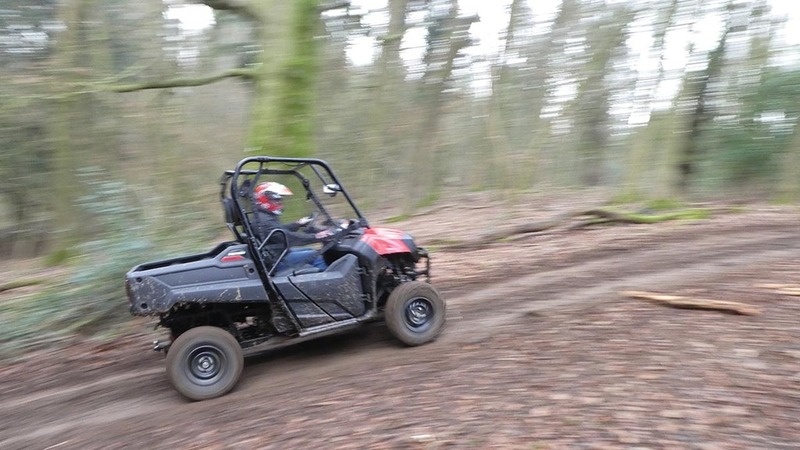 Offering a balance between a comfortable pickup and go-anywhere quad bike, UTVs are quite capable of negotiating rough terrain, towing a small trailer or carrying tools to head off fencing. Richard Bradley takes a look at some of the options available. 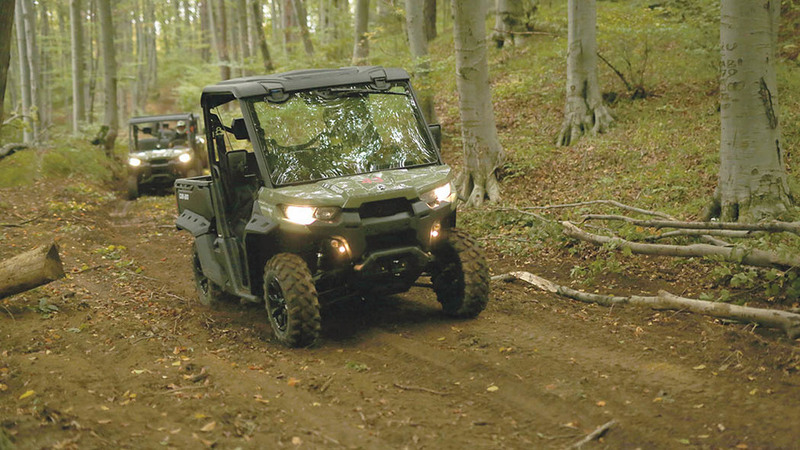 To cater for a diverse range of applications, Polaris now offers its Ranger UTV in 11 models across three chassis styles. Flexibility does not end there, with six powertrain options, including petrol, diesel and electric motors. Starting out in two-seater configuration, a 48-volt electrically driven Ranger is available, along with a 570cc petrol-powered version. Moving on to larger three-seaters, full-size Ranger models are available with a 1,000cc diesel engine, 68hp 875cc petrol engine or new 1,000cc petrol unit, which produces 82hp. These three models also boast electronic power steering and engine braking system, with diesel-powered machines also benefiting from active descent control for negotiating downhill terrain. Another model in this range is a six-wheeled version, which sees an extra set of wheels at the rear offering increased traction and load carrying capabilities. Carrying capacity on four-wheeled units is 454kg, with the ability to tow up to 907kg. Along with an automatic two-speed CVT, all Ranger models feature Polaris’ On-Demand four-wheel drive system, which automatically engages four-wheel drive and diff-lock, as and when required. For additional people carrying capabilities, the firm offers the range with an extra row of seats to accommodate up to six people, with power provided by 1,000cc petrol or diesel engines. Over the past few years, Canadian firm Can-Am has been growing its brand within the UK. Not a stranger to recreational or utility vehicles, the firm has a wide product portfolio. 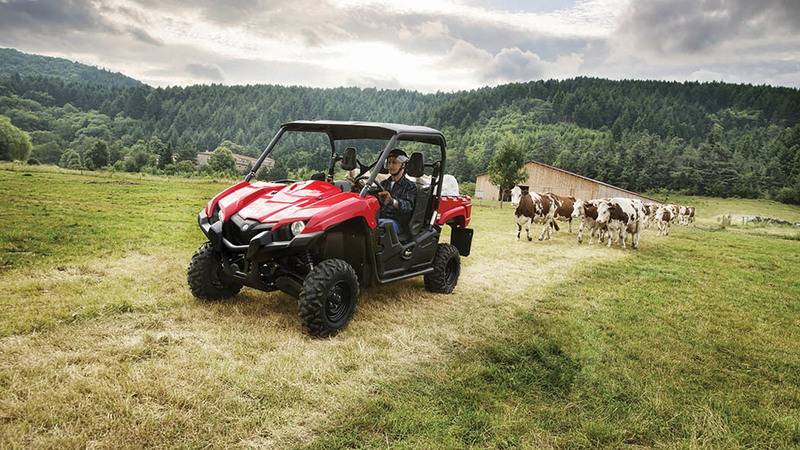 Its Traxter UTV range, previously branded Defender, comprises seven models across three engine sizes. All three-seater models feature a split 60:40 folding bench-seat, offering a large floor storage area. An additional Traxter Max model gets a second row of folding seats offering six padded perches. V-twin Rotax petrol engines are featured, available in 500cc, 800cc and 1,000cc guise with 38hp, 50hp and 72hp, respectively. Transmission is an in-house CVT, and all models also get electronically selectable two- and four-wheel drive, with a separate switch to engage diff-lock. Power-assisted steering is only available in DPS, Pro and XT spec on HD8 and HD10 models. In terms of capacity, HD8 and HD10 models can carry up to 454kg in its load bed, and tow up to 907kg. 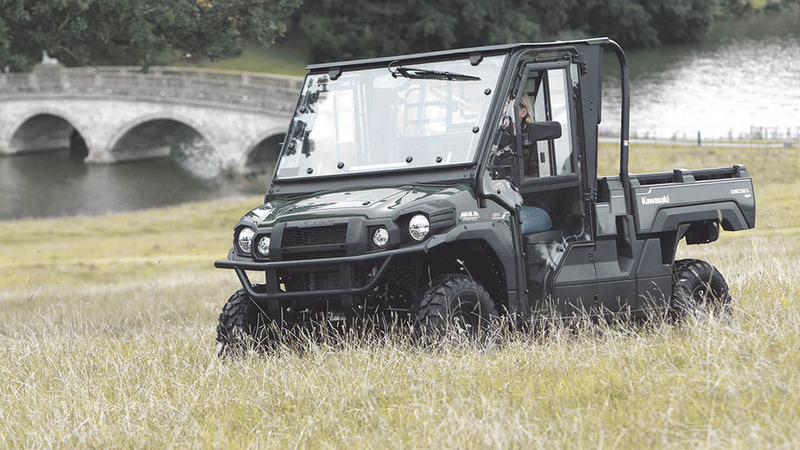 While a whole host of extras are available, Pro and XT models feature some useful benefits, such as front winch, belly skid plates and heavier duty seats. Sealed cabs are also available to escape the British winter. First launched in the US back in 2013, Honda’s Pioneer is still relatively fresh-faced here in the UK. Powered by a single-cylinder 800cc petrol engine, the Pioneer’s 38hp is transferred to the ground via a three-speed automatic transmission with torque converter clutch setup. Switching between two- and four-wheel drive is via a dash-mounted lever, which also looks after locking the front differential. Currently, no rear differential is featured, and power-assisted steering is not available. Towing capacity is rated at 680kg, and the tipping rear load bed allows an additional 386kg to be carried with gas struts used to assist tipping. Offering four seats in a compact machine, the manufacturer’s QuickFlip seating system on four-seater models doubles up the rear load bed as rear seats. Mounted under the bed, seats are flipped up when required, meaning you cannot carry four passengers and equipment in the back without a trailer. Hinging side panels provide access in and out of the seats. Retail price for a two-seater Pioneer is £11,500, with four-seater models costing about an extra £1,000. 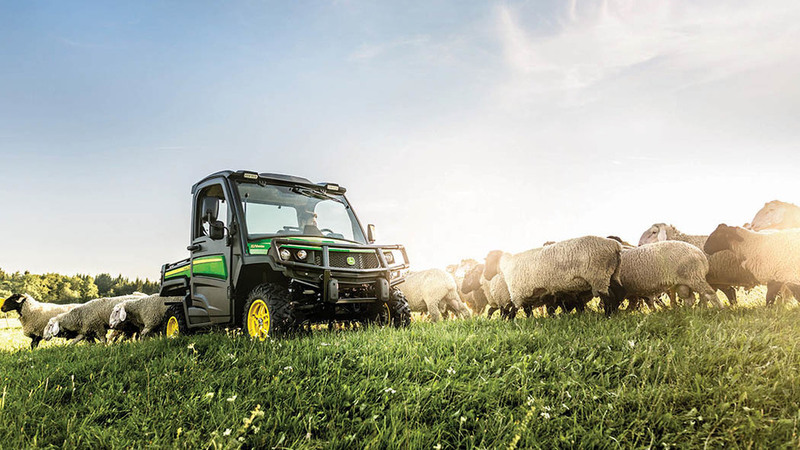 Due to the firm’s on-farm presence, the Gator has proved popular for John Deere. Currently made up of four models (two petrol and two diesel), the firm has updated its range for 2018 with the addition of two new models. The New 835M is fitted with a 54hp petrol engine, while 865M gets a 23hp oil-fired motor. Both models feature a two-speed CVT, with options of 50kph (31mph) or 60kph (37mph) top speed. To offer increased range, fuel tank size has been upped to 42 litres from the 28-litre tank used on existing models. Along with an increase in fuel tank size, towing capacity has made a big jump on both models up to 907kg, and the tipping load bed can take up to 454kg. While standard fitment is a front and rear screen with safety nets for simplicity, John Deere has developed a new sealed cab, which the firm says uses sound dampening components to reduce noise levels in the cab. Available from early 2018, all Gator XUV models will be road homologated as standard. Retail prices for new 835M (petrol) start from £16,269, and 865M (diesel) at £15,937. By comparison, JD’s widely popular 855 diesel model retails at £15,745. 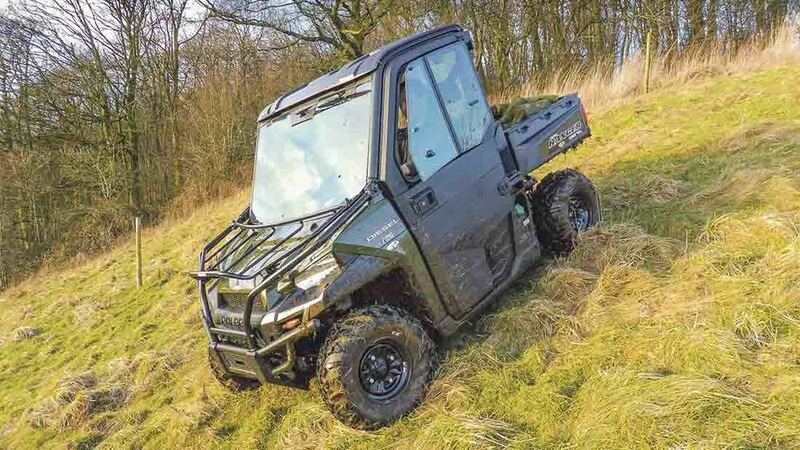 Renowned for its petrol-powered bikes, both on- and off-road, Kawasaki’s Mule UTV features a thumping diesel burning engine. Available in two- and four-seater configurations from one wheelbase, the two-seater Mule Pro features a near 1.35-metre square load bed, which the firm claims in the largest load bed in its class. Carrying capacity of the assisted tipping bed is 453kg. A handy feature on four-seater models is the folding rear perch, and while it does eat into the load bed a little when raised, 560mm (22in) of load bed still remains for carrying kit. Powertrain in both two- and four-seater models comes in the form of a 993cc, three-cylinder diesel engine, which sends 24hp to its two-speed automatic CVT, providing a top speed of 48kph (30mph). Engaging four-wheel drive and diff-lock is via two rocker switches on the dash, meaning either can be selected, if required. Along with its carrying capacity, the Mule is able to tow up to 907kg, and independent suspension at each corner features preload adjustment to cope with load lugging duties. Standard cab arrangement is an open canopy, with options of plastic and glass windscreen and doors. Retail price for the Mule Pro DX starts from £11,579. Part of the Japanese manufacturer’s large off-road vehicle portfolio is its Viking UTV. Available in only one engine size and spec level, the Viking offers a decent level of sophistication as standard. Power is provided by a 686cc single-cylinder petrol engine, which couples to Yamaha’s Ultramatic CVT. Featuring high and low forward ranges, the transmission uses a centrifugal clutch and all-wheel engine braking for negotiating downhill terrain. For additional tractive force, a single rotary switch looks after changing between two-wheel drive, four-wheel drive and four-wheel drive with rear diff-lock engaged. Adapting to the ground’s contours is via all-round independent suspension, and hydraulic disc brakes are featured at each corner. To maintain a walkthrough floor, Yamaha has positioned the handbrake and gear lever on the dashboard, close to the vehicle’s LCD display. Seating arrangement on the Yamaha sees three individual seats, with the centre seat cranked backwards slightly to prevent banging shoulders with other passengers. Behind the canopy-style cab, the tipping load bed is designed around the dimensions of a Euro pallet, should you wish to load one, and offers a 272kg capacity. Optional tow ball allows up to 680kg to be dragged behind the Viking. Electronic power-assisted steering is standard fitment and features two stages to suit trickier conditions when four-wheel drive and diff-lock are engaged. Retail price for the Viking is £12,749.